A hidden report in Dramatica® bridges the gap between the two sides of a story. When we see things the way they appear, we don’t notice the distortion. Without a demarcation line marked TRUE in big bold letters, we have no idea the true nature of what it is we are looking at. This dissonance between the observed and observer pinpoints a major pain point for writers: the failed first draft. In the latest trailer for Interstellar, Christopher Nolan’s as-yet-to-be-released sci-fi flick, we catch a fleeting glimpse of the event horizon: that point-of-no-return between two regions of spacetime. Both within and without, the space traveler spots what was and what is from a vantage point inaccessible from either. 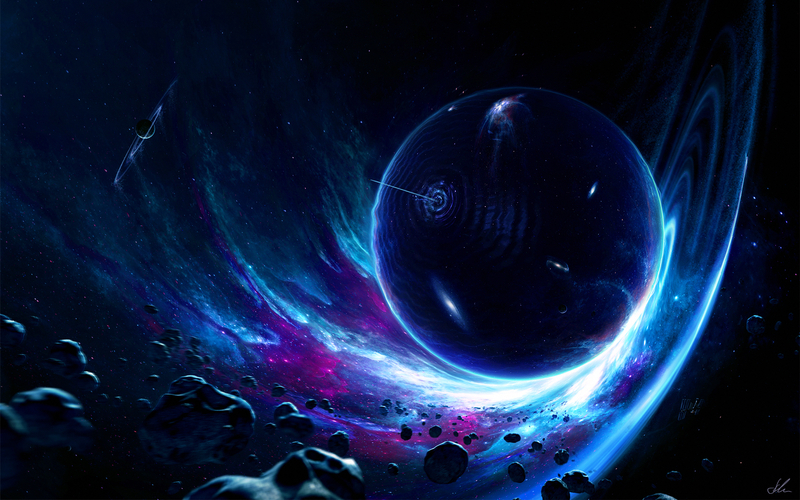 As writers of fiction, we have no formidable wormhole. We can sit within the heads of our astronaut and describe what he or she sees or does, but we have no idea what that will look like to an outside observer. Conversely we can sit back and watch the action of astronauts and interpret their intentions and motives, but we have no idea what it feels like to be them or why they do the things they do. The typical writing process, that prescribed by everyone from junior high school creative writing instructors to Stephen King in his book On Writing, encourages writing non-stop without critique. Subsequent steps call for writers to seal their work away. Gain greater objectivity by making the pages unfamiliar and new. Emploring the watchful eye of a friendly critic functions the same but with the same unfortunate byproduct—wasted time. In this age of accelerated production schedules, one wishes for an opportunity to circumvent the spacetime continuum between draft and weekend read. One dreams of a wormhole between creativity and critique. Thankfully, this wonder of the universe exists. One of the more controversial aspects of the Dramatica® Theory of Story, the Plot Sequence Report attempts to show writers what the structure of their story looks like from the inside. Buried within the Dramatica Story Expert application, the PSR opens up pinholes between Author and Audience, shining a light of greater awareness on those who tell stories. While every other single report in the program seeks to distance the writer from his or her work by offering an objective view, this report outlines the thematic sequences from the character’s point-of-view. Shrouded in secrecy and hidden in plain sight, the PSR often goes unnoticed by those new to the theory. [it] makes the most complex parts of developing a plot effortless. It naturally produces events that are irreversible, meaningful, and true turning points…It gives the story a deep, extraordinary meaning, blending plot and theme and giving significance and progress to both. It may be considered the ultimate source of event material and the definitive map for the story lines. Quite an endorsement. Armando continues to discuss his interpretation of the Plot Sequence Report and how best to use it when outlining the sequences and scenes of your story. Can’t recommend his book enough if you’re looking for a programmed instructional approach. I’ve slowly been going through, pluggin old scripts into the software and have been surprised on a few occasions with how well aligned they were already [with the Plot Sequence Report]…some of them took YEARS to get where they are so I can attest to the shortening bit. Had Jim been familiar with Dramatica earlier, it’s quite possible that he could have shaved months, if not years, off his development cycle. Dramatica is a time-machine for writers. Circumventing the days long process between drafts the theory, and the application that supports it, purports to show Authors a skewed view of their story. Looking at the base of the table we see 64 potential problems. In reality, these 64 are really the same four elements repeated. They only appear different because of the lens, or filter, from above. Imagine if each of the layers of the table was a different color lens. If you took at a quad of elements—any quad—and moved it under each lens the quad would look different. Some elements would pop out, while others would recede, some would become more clear while others would disappear completely. Regardless if you’re looking at the quad containing Knowledge, Thought, Ability and Desire or the quad containing State of Being, Circumstances, Situation and Sense-of-Self they’re really the same thing, only one step away. These lenses, or filters, operate as different contexts—that’s what makes the different quads appear to be different. This happens all the time when animating in 3D. Before, when all an animator had was paper and pencil, they were in complete control. As masters of the two-dimensional page, these artists were able to draw the characters precisely where they wanted them. When the computer came along, all that changed. In 3D a character could appear to be standing on a tabletop from a certain perspective when he really isn’t. Tumble that point-of-view to something deeper and off to the side and the reality of the posing becomes clear: the character rests several feet away from the table. From that limited initial perspective everything appears to be lined up, when really they weren’t as close as originally thought. The Plot Sequence Report gives you, the Author, the limited perspective of the characters. The Dramatica Table of Story Elements tumbles your view of the thematics and shows you where everything truly lies. Let’s say the second Act of your story finds your Main Character struggling to traverse an unfamiliar land. Looking at the Table of Story Elements we see the Signpost of Doing under Physics and recognize this as the kind of problem our Main Character will be dealing with. Underneath we can see that the kind of Issues he will be dealing with will have something to do with Skill and Experience, Wisdom and Enlightenment. The unfamiliar part covers his lack of Experience in the area while his Skills at riding horses or hiking steep mountain will also come into play. His lack of Wisdom towards dealing with the inhabitants might also factor in, as will the Enlightenment he gains along the way. Knowing this, we can start writing our 2nd Act with these sequences in mind…or at least we can try. Diving into the story and trying to write from the inside while knowing what it looks like from outside…is just plain weird. When writing the Main Character we want to become this person, we want to know what the world of the story looks like to him or her. A quick glance at the Plot Sequence Report generated by Dramatica satisfies our curiosity. Now this is something we can write. Our Main Character, a stranger in a strange land, finds himself struggling to cross a rushing river—warmth and food sitting on the opposite bank. He dives in but soon aborts, the circumstances of a childhood drowning accident too much for him to handle. His inflated self-ego refuses to let him stay put for long and he dives in again…only this time he finds he’s not a swimmer and the current carries him downstream. From an objective view we see that our traveler didn’t have the skills to swim or the wisdom to find another way. His experiences as a child hampered his chance at getting across and clouded any insight he may have had into himself. But it would have been near impossible to reach that point in our writing if that was all we knew. The subjective view provided by the PSR flavors our writing with emotion and empathy. Instead of dealing with pawns on a chessboard, we find ourselves deep within the conflict struggling to find our way out. The Plot Sequence Report invites us in because it knows our story. It knows what kind of ending we want, what kind of paradigm shift we want for our principal characters, and what kind of thematic focus we want established. The application winds up all these disparate point of story and shows us what it looks like from the inside. It gives us vision. The most difficult part about working with Dramatica lies in its objective take on the elements of story. Those who rant about the confusing nature of the program, the “steep learning curve”, or the obscure terminology are simply doing so as an act of rebellion against this unfamiliar point-of-view. When, if ever, do we get an opportunity to step outside of our work, or ourselves for that matter? The Plot Sequence Report bridges the gap between the cold-hearted reality of what’s really going on and the fun subjective surprise of what’s next? The PSR feels more organic, less mechanical than the Table of Story Elements. With the TSE, every factor locks in as true—no variance, no surprise to flavor a story. Writers want something more akin to painting. They desire dirt and grime and the messiness that comes from mixing and matching media and texture. The Table of Story Elements paints with primary colors; the Plot Sequence Report explicitly messes these colors up so that the end result feels less mechanical and structured. To the characters things may look a little bluer and maybe a little greener than they really are. So the writer ties those things together when the truth is—they’re really just blue and green. If Dramatica comes off stodgy and cold, turn to the Plot Sequence Report. There you’ll find the colorful and playful aspects of narrative that probably attracted you to writing in the first place. Enjoy the ability to cross space and time with your Dramatica-fueled spaceship and write with the confidence that the universe beneath your feet won’t change.